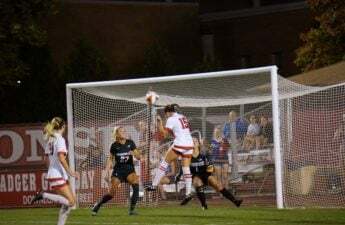 After an underwhelming road trip, the University of Wisconsin women’s soccer team has gotten its winning streak back on track with a 2-1 win over the Purdue Boilermakers in Madison. The Badgers got started off with a goal 42 minutes into the game by freshmen forward Cameron Murtha. The Boilermakers tied the game later on in the 74th minute on a goal by Andrea Petrina that was assisted by Hannah Melchoirre and Kylie Hase. 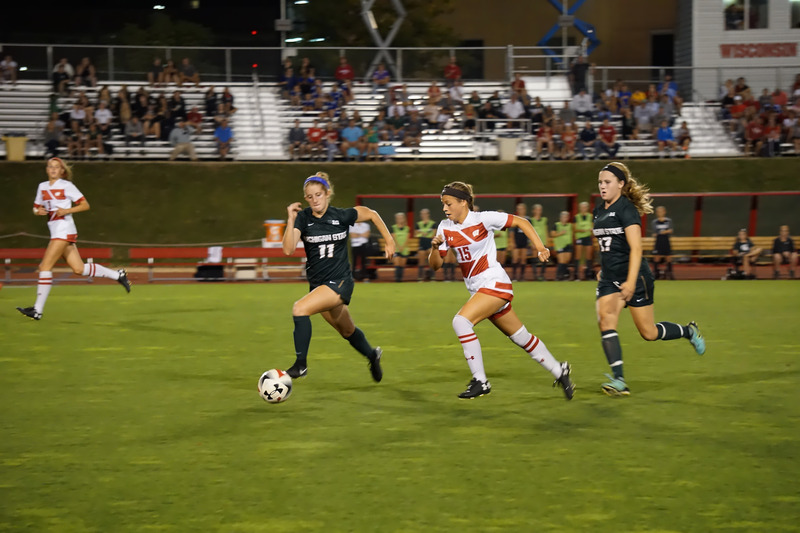 The game remained tied for another four minutes before junior midfielder Victoria Pickett put the Badgers ahead for good with a goal in the 78th minute. The Badgers outshot the Boilermakers 12-5 and that ended up being just enough offense to put the Badgers ahead and back into its winning ways. This was the third goal of the season for promising freshmen forward Cameron Murtha and the second goal for Victoria Pickett. This offensive production was once again enough to put the Badgers on top. This continued success by the Badgers is in large part due to their defensive success — led by goaltender Caitlyn Clem — who allowed only one goal on five shot to maintain her 1.00 goals against average. 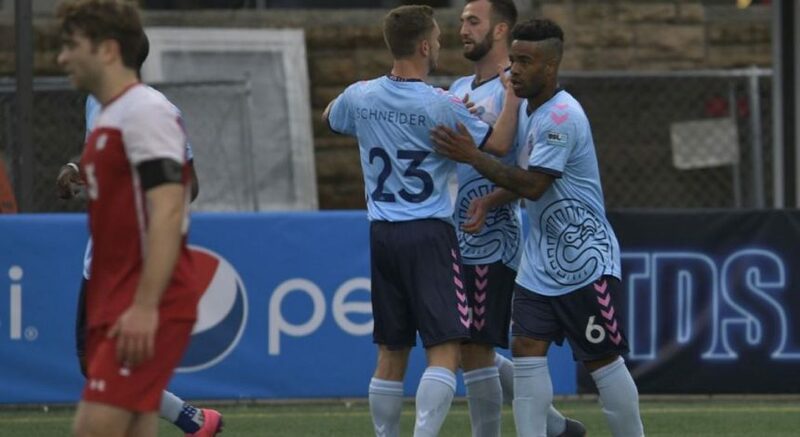 This was a much needed victory for a team that had been unable to win their previous three games, and they came through in a big way, despite the unfavorable weather conditions Friday evening. The Badgers had recently been on a 0-2-1 stretch following a seven game winning streak, but they managed to get their mojo together against the now 9-3-1 Boilermakers. The Badgers are now 9-3-1 themselves and are looking to finish out their final stretch of their Big Ten Conference play with games against Illinois, Indiana, Northwestern, Iowa and Penn State. Up next, the Badgers move on to play the Indiana Hoosiers Sunday afternoon at 1 p.m. at the McClimon Complex. Tune into Big Ten Network Plus to watch the Badgers attempt to extend their winning streak to two games as they go through their final stretch of Big Ten Conference games.